Online search giant Google has again beaten all expectations. Its revenue for the last quarter of 2006 rose to $3.21bn, an increase of 67 per cent compared to the same period the year before. Less commissions and payments to its advertising partners, Google's profit was $2.23bn, which is considerably more than the $2.195bn Wall Street analysts had predicted. The figures are even more impressive if you look specifically at Google-owned websites. These generated revenues of almost $2bn, an 80 per cent increase. In total, Google's net profit for the fourth quarter was $1.03bn - again more than analysts had predicted. Despite exceeding predictions, Google's share price dropped by 3 per cent yesterday following the announcement of its results. Google is growing on the staff front too. During the last three months of 2006, its staff numbers increased to 10,674 from 9,378. This affected its outgoings, which were up to $493m, from $382m three months earlier. 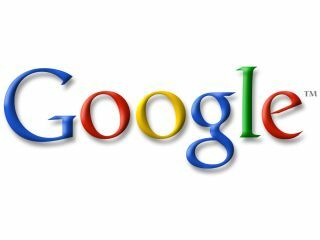 Google predicts a 45 per cent growth rate in 2007. It hopes to increase revenue from new advertising formats, including radio, video, and brand name ads. Web monitoring firm Hitwise reported yesterday that Google now holds 63 per cent of the online search market. The question is how long Google can keep growing at this rate. If Google continues to increase its profit then there may not be a problem, but what happens when its growth rate becomes more normal?